Welcome to the Cosy Craft Club's weaving month! We really want to encourage you to have a go at weaving yourself, and we'll be sharing the key things you need to know to get started. You can find all our weaving posts in one place here. I love Instagram, don’t you? It’s such a great place to discover talented crafters, and weavers are no exception. As ever, it was a tough job to pick my favourite Instagram weavers, but it had to be done so here they are! Neutral and modern colour palettes adorn Anita's woven wall hangings. I love the way she experiments with long fringes too. By Bella Designs also stocks frames that you can weave around, such as the rainbow shape you can see in the picture above - really unique! 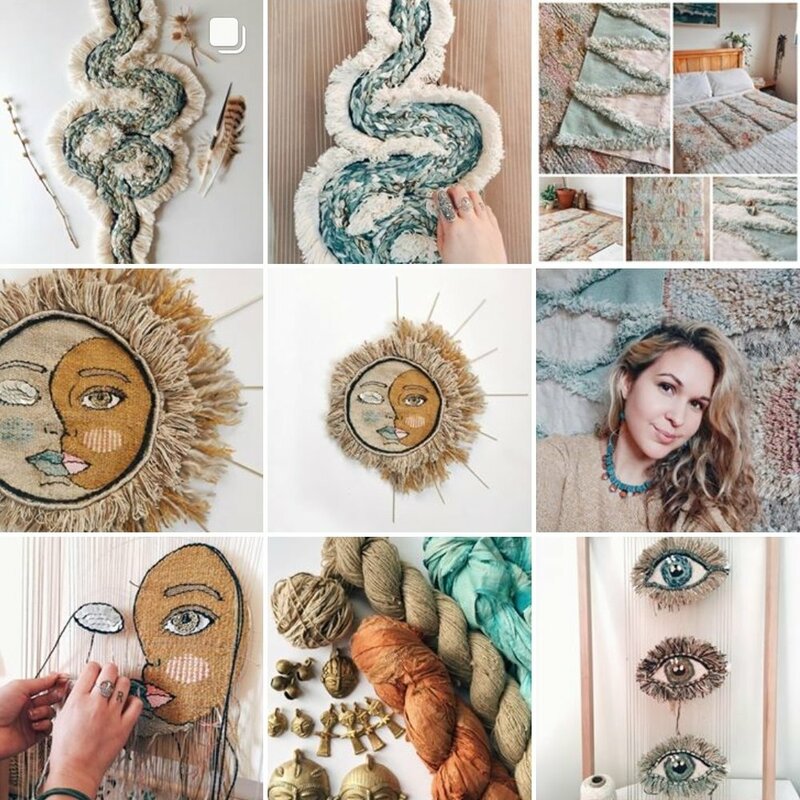 Combed Thunder has quite a different style to many weavers on Instagram - rather than using variation in texture, weaver Natalie focuses on creating patterns and pictures within her weaves. The results are very impressive. Funemstudio.be is not a weaver, but a weaving supplies company that features its customer's photos using its products. The result is a wonderful mix of weaving styles and a great source of inspiration. You can take a lesson from how to do wavy weavings from Kate at Marquis Weaves - she's a pro! I love the way she uses different thickness of fibres in her waves, and sections of different colours. The results are beautiful. 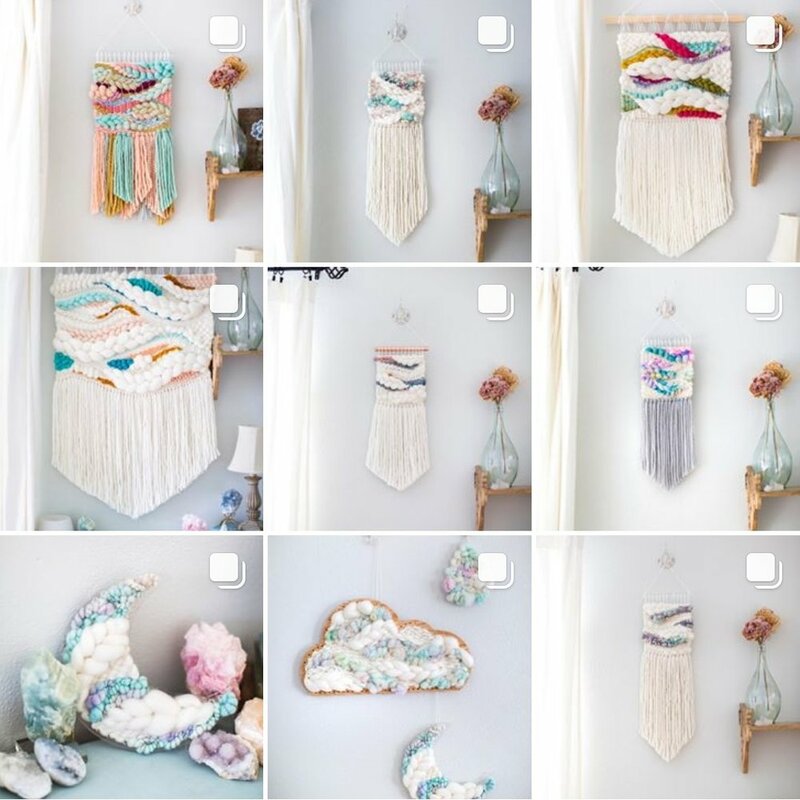 The White Papillon's Instagram profile states that weaver Holly likes "making colourful and happy things", which sums up exactly what she does. 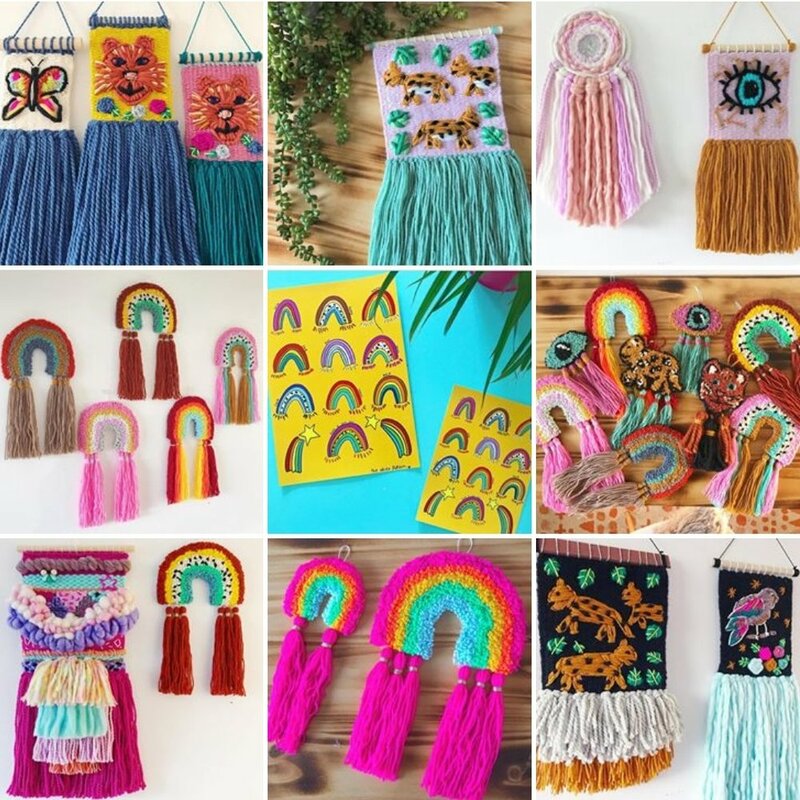 Check out her feed for bright, child-like weaves embellished with pompoms and embroidery. Animals and rainbows feature heavily. Twill Hill is another feed with a great aesthetic - very light and modern. Weaver Agata's style is very fine and neat, featuring woven patterns and fringe. Rather than wall hangings, she makes scarves, pouches and cushions. Jennifer from Wandering Coast Collective creates weaves that are heavily influenced by central & northern American traditional styles, resulting in a very unique style. She has recently been working on pieces such as hearts, eyes and snakes - not your average wall hanging. You can find rainbows aplenty at Whisker Woven - plus pastels, chunky roving and long fringes. It makes me feel like I've stepped into a sweet shop! I love how different all these weavers are. Which is your favourite? Please go and check out their feeds and say hi! Welcome to lino printing month!